The journey of planting a church is exciting and rewarding, but it involves more than simply charting a course to launch. Jeff Leake opens the door to a world of options available to pastors and churches for growing and reproducing. Drawing on his experience in implementing these steps, he proposes a shift in thinking to create a climate for a church-planting movement. 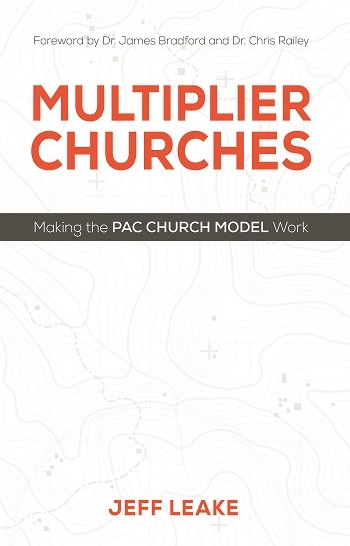 The Assemblies of God makes church multiplication potential even more possible through parent affiliated churches, or PAC for short. To find out more about church planting, visit www.churchmultiplication.net. Jeff Leake’s passion is planting churches. While serving as lead pastor of Allison Park Church in Pittsburgh, Pennsylvania, for over twenty-one years, he has also established the Northeast Ministry School to train church planters, missionaries, and members of church planting teams. Under his leadership, Allison Park Church has helped to plant seventeen new churches and has a set goal to plant one hundred more in the next ten years. He also serves as a member of the Church Multiplication Network (CMN) lead team. Jeff, his wife, Melodie, and their five children live in the Pittsburgh area.